The musical comedy about the history of cocktails and spirits! The Imbible sweeps audiences along a 10,000-year journey through history and across the globe accompanied by craft cocktails and the vocal stylings of The Backwaiters acapella group! Sit back and enjoy the music and drinks while Anthony Caporale holds forth on the history and science behind alcoholic beverages, traces their economic and political impact on our cultural development, conducts live demonstrations of brewing beer and distilling spirits, and – like any good bartender – keeps his guests laughing throughout the night! 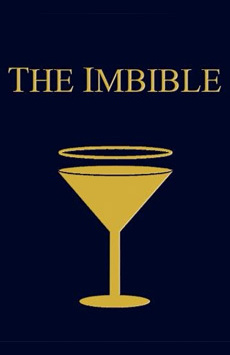 Combining Anthony’s encyclopedic knowledge of beverage history and decades of bartending experience with his legendary skills as a storyteller and entertainer, The Imbible treats audiences to a completely original and thoroughly enjoyable evening of immersive theatre utterly unlike anything they’ve ever experienced! *Please note: Three drinks are included in the price of a ticket.